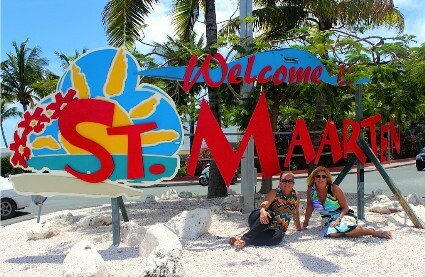 Please take note that since January 1, 2007 all US Citizens need a passport to enter St. Maarten/St. Martin. 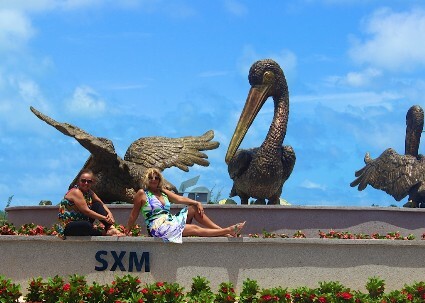 St. Maarten/St. Martin was discovered by Christopher Columbus in 1493 on the feast day of St. Martin of Tours. Since then, this 37 square mile island, has been in the possession of the Spanish, Dutch, French and English. However, on March 23, 1648, a treaty was concluded atop Mount Concordia delineating the boundaries of the island whereby the Dutch received 16 square miles and the French 21 square miles. Official languages are Dutch and French, but English is widely spoken. Spanish, Italian, German and many more languages can be heard as well as two dialects, Papiamento on the Dutch Side and French Creole on the French Side. Over 100 nationalities reside on the island. Official currencies are the Antillean Guilder on the Dutch Side and the Euro on the French Side. The Antillean Guilder floats with the US dollar. $1 = 1.80 Antillean Guilders. Prices are commonly posted in U.S. Dollars which are accepted everywhere. Non-resident personal checks are generally not accepted, however travelers checks and most major credit cards are . Princess Juliana Airport, on the Dutch side, is the international airport that is linked to most Caribbean islands, as well as Europe and North and South America. L’Esperance-Grand Case Airport, on the French side, is a regional airport for inter-island transfers to the surrounding French speaking islands. Vehicles are left hand drives and traffic is on the right with international signs. On roundabouts the cars have preference, beware! Local buses run until midnight between different locations. Taxis can be acquired anytime at the airport, in the capitals, and at the hotels. Or call us and we will arrange one for you. All major car rentals are on the island, and there is unlimited mileage. It is advisable to take car insurance. Roads are winding and narrow. Foreign persons who are not registered as residents, but wish to get married in St. Maarten, may req est permission to do so from the Lt. Governor of the Island Territory of St. Maarten by faxing a letter to Lt. Governor Franklin Richards, Government Administration Building, Philipsburg at 011-599-542-4884. Registration with the Office of Civil Registry is to take place at least 10 days prior to the planned wedding date. Tel: 1-721-542-2457 Fax: 1-721-542-4267.